DIVE RIGHT IN! 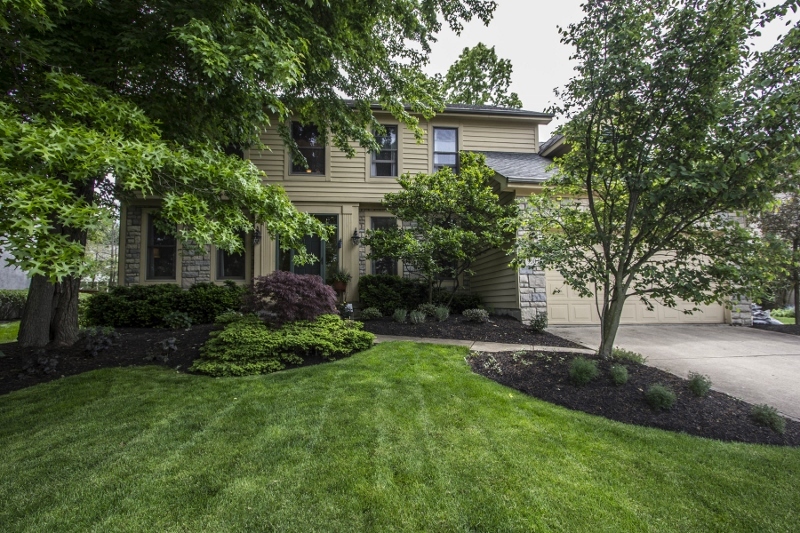 Upgraded Two-Story home on 1/3 acre wooded & fenced lot with Inground heated pool, hot tub & deck with pergola. Two-Story Foyer with wood floors. 1st Floor Den/5th Bedroom/In-Law Suite with Full Bath. Family Room has stone fireplace. Remodeled Kitchen has wood floors, 42” cabinets & granite counters. Vaulted Master Suite has his & hers walk-in closets & private Bath with garden tub. Finished basement has 2 Recreation Rooms, dry bar & Full Bath. Updated roof, furnace, A/C, water heater, lighting, flooring, remodeled Kitchen, Baths & so much more! 5 BRs & 4.5 Baths. Over 3,000 SF! Gahanna Schools. Only $344,900. Call DeLena today!